We’re delighted to welcome two new members to the association – roofing contractors Group Tegula and Penny Roofing. 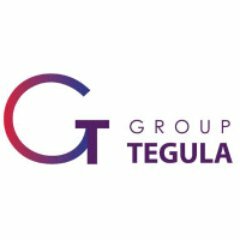 Based in the North East, Group Tegula specialises in commercial projects in both the public and private sector. It provides a wide range of roofing services, including liquid membrane applications, felt systems, cladding, composite sheeting, tiling and the installation of guttering. Group Tegula also provides a variety of roofing maintenance services and is qualified to supply and install a range of roof safety systems. A family-run business, Penny Roofing operates across London, Kent, Sussex, Essex and most of the South East. With strong family values at its core, the company prides itself on its high levels high level of workmanship, professionalism and dedication. Penny Roofing is experienced in working with flat, pitched and green roofs, providing a wide range of services including waterproofing with liquid membrane applications. The company also offers a maintenance and full repair service.